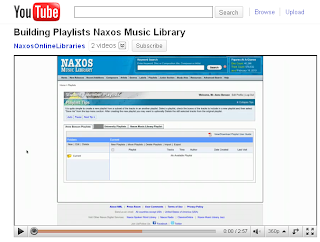 Naxos Music Library: Video Tutorials! 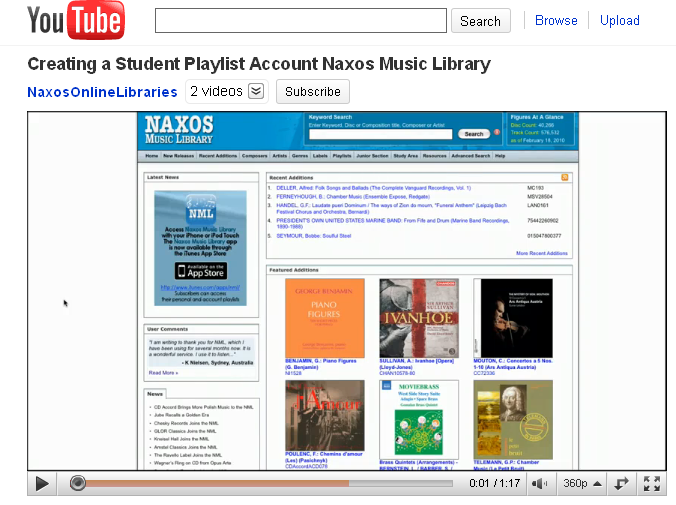 Naxos Music Library has started creating video tutorials! We've posted our first two videos on the newly-created Naxos Online Libraries channel. 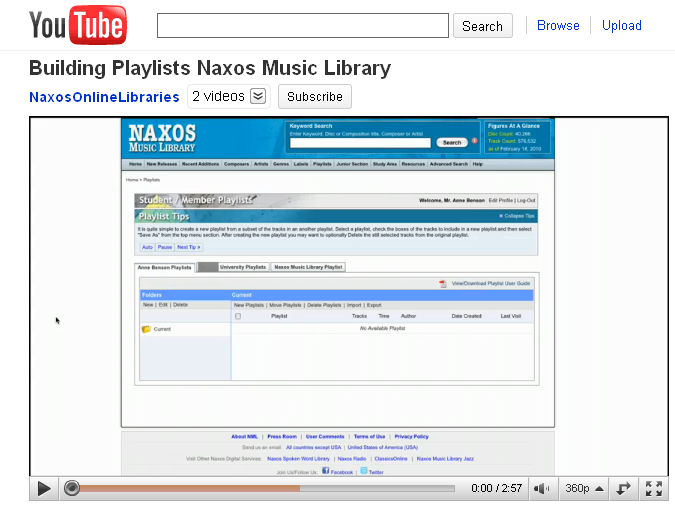 Soon there will be short video tutorials answering all "how-to" questions for Naxos Online Libraries-- both online and on YouTube. If you have specific questions you'd like answered in a video tutorial, let us know. All suggestions are welcome!